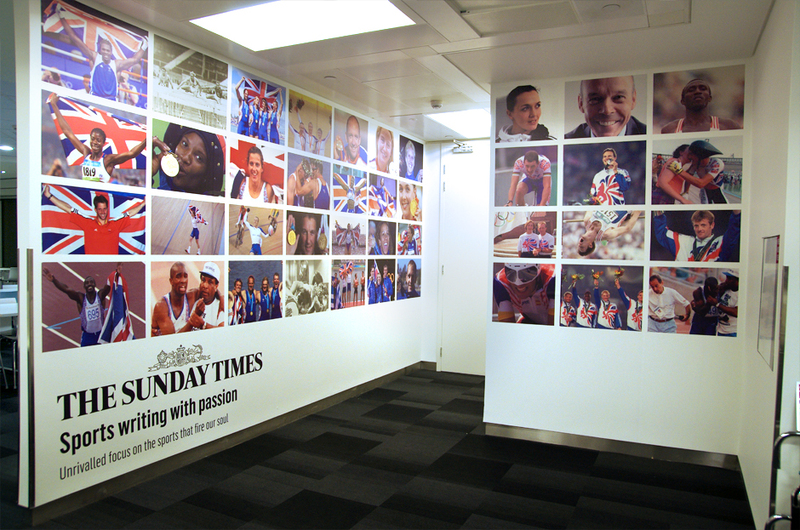 We were commissioned to create a huge exhibition in the executive suite on the very top floor of New International. 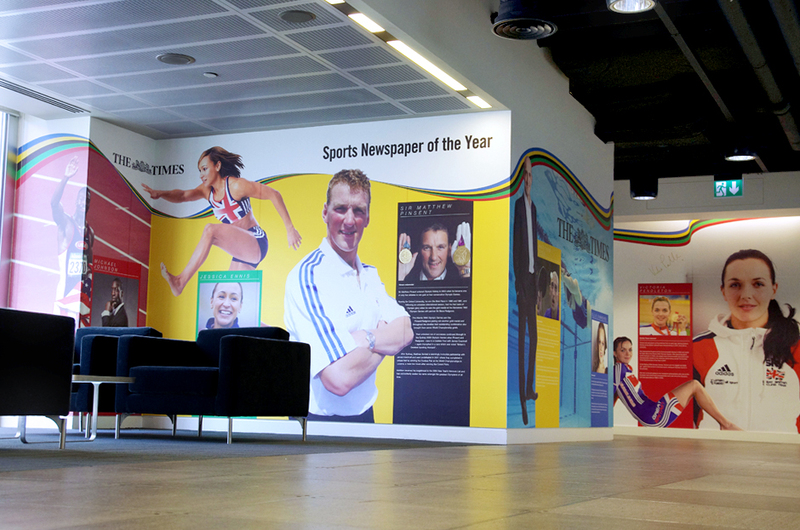 The exhibition had to bring together the entire history of the Olympics starting in 1896 using over 100 years of photography that News International had in archive along with our well researched facts. 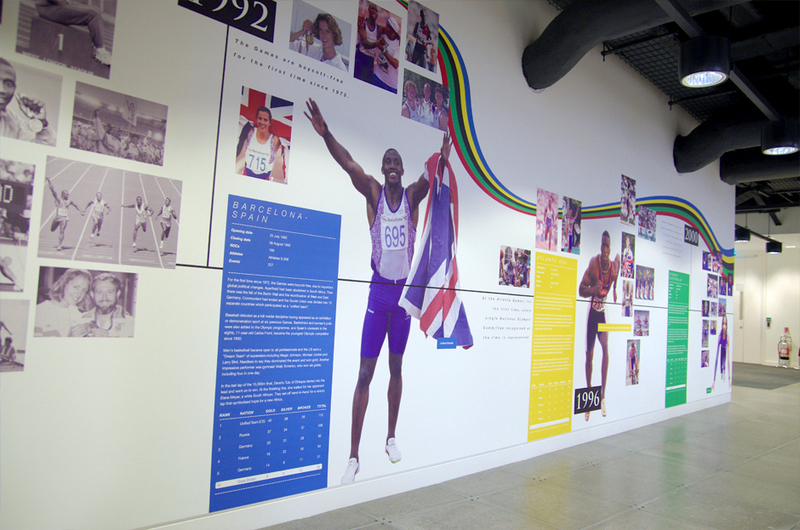 We installed a running track on the floor that had a start and finish line and flowed around the exhibition guiding the viewer around in the right direction. 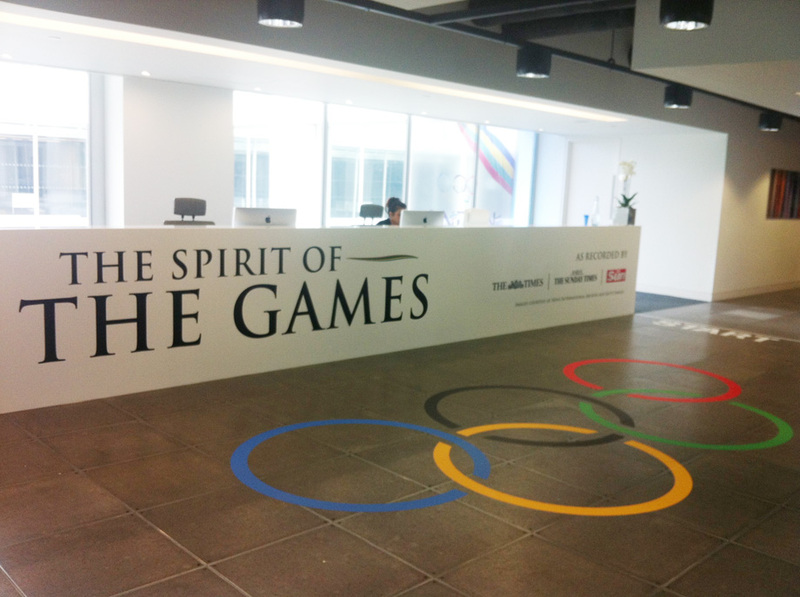 The exhibition begins with a quote from Pierre de Coubertin, the founder of the modern games. 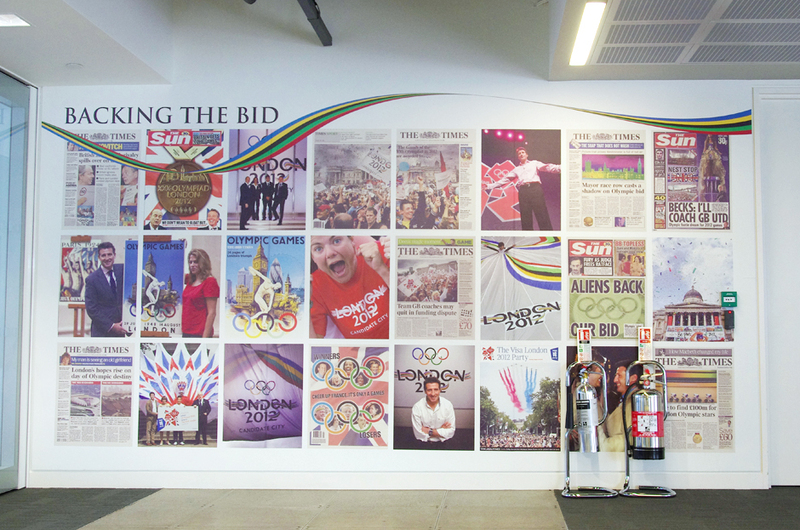 You are then led around a timeline with stations for each year the Olympic games were held with interesting facts and imagery leading from Athens – 1896 up to Beijing – 2008. 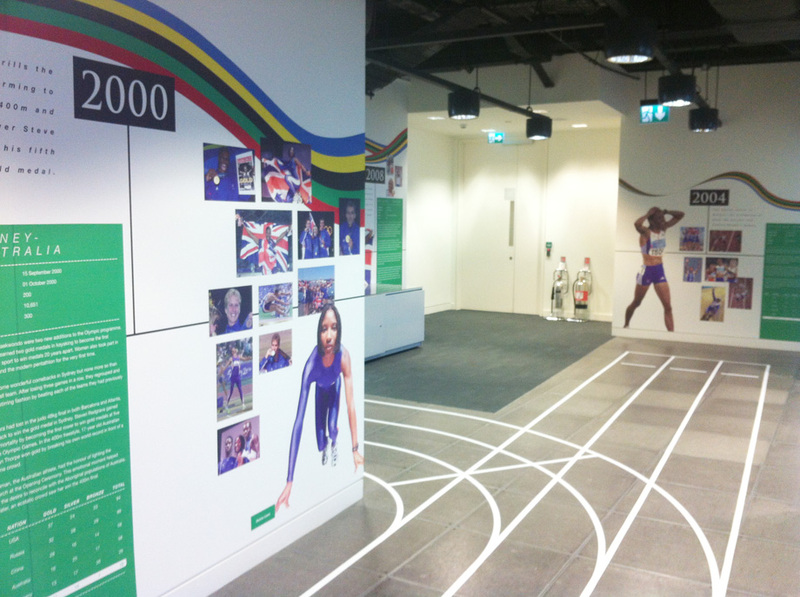 The exhibition then leads into an area dedicated to London 2012 with images of the new stadiums and a section dedicated to Lord Sebastian Coe. 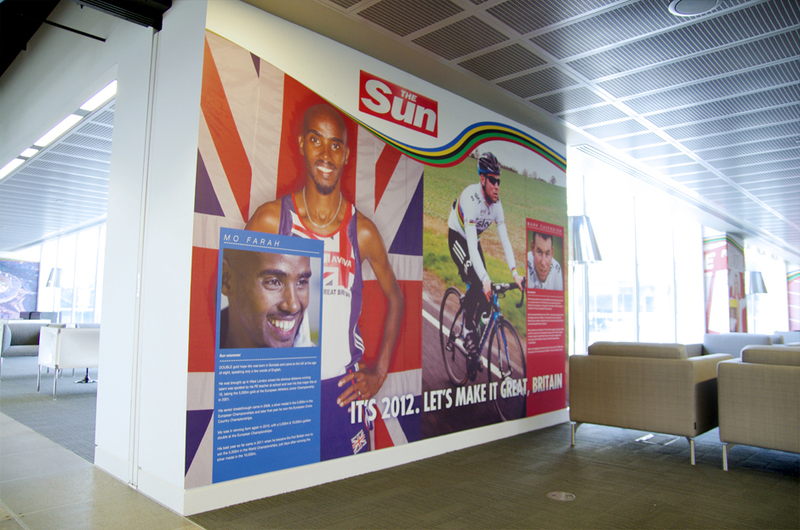 You are then led into an area showcasing the press coverage of ‘Backing the Bid’ and finally and area dedicated to each newspaper (The Sun, The Times and The Sunday Times) and each Olympic athlete columnist that they have writing for them. 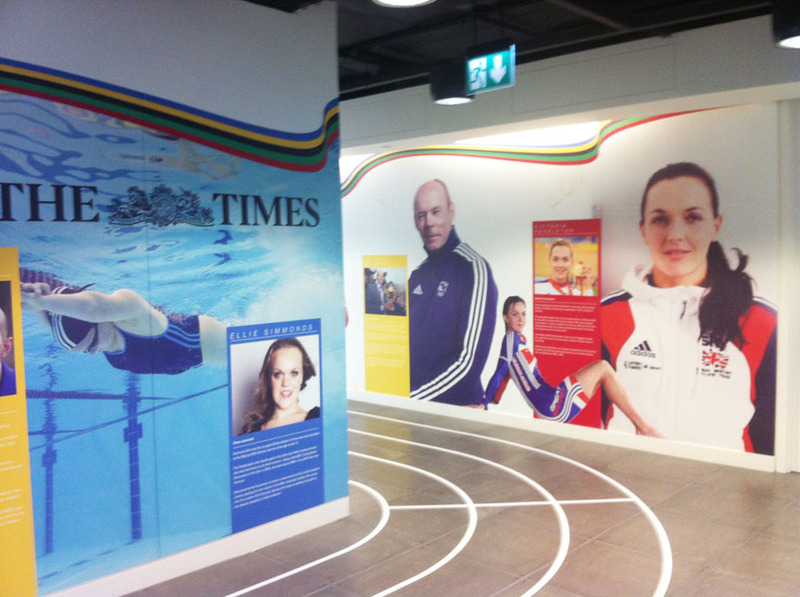 The exhibition was a huge success and many important people were entertained there in the lead up and during the 2012 Olympics. 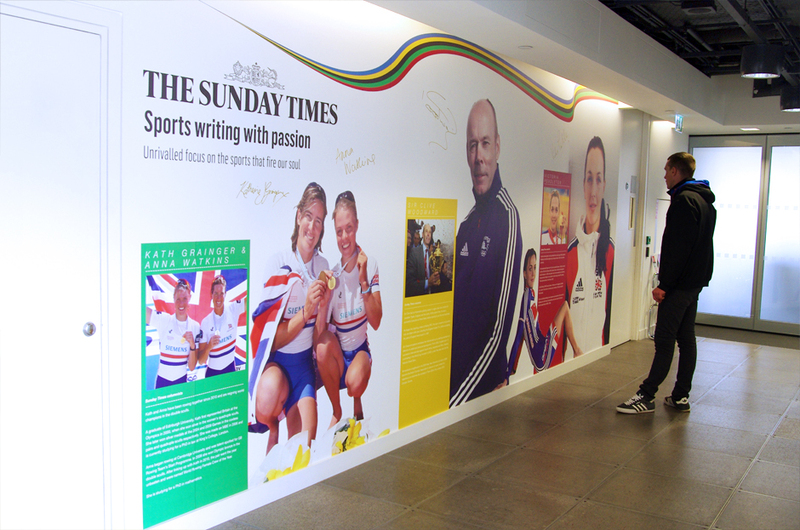 Lord Coe, Victoria Pendleton and Sir Clive Woodward all went and signed their walls.